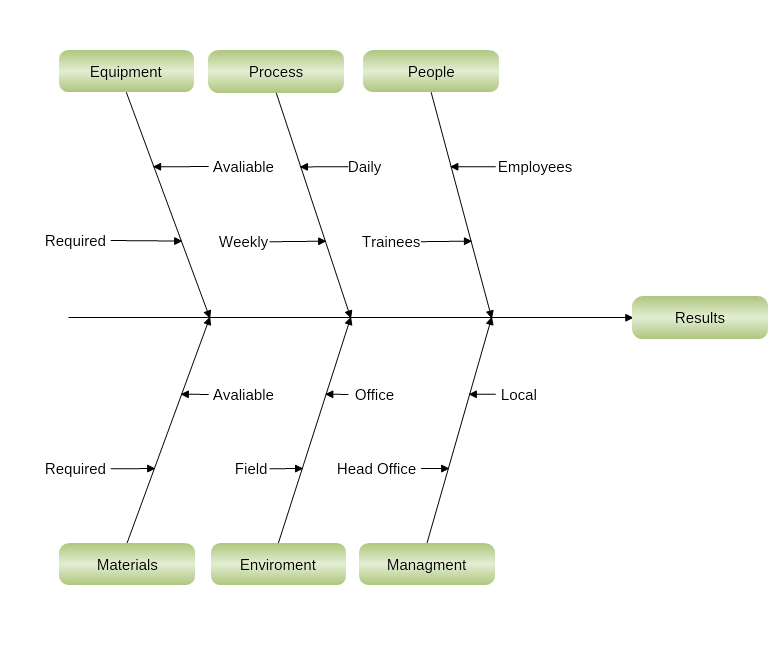 This is a simple fishbone diagram template, listing various aspects playing a role in the achievement of a final result. The most significant areas are the main causes (People, Equipment, Materials, etc.) and the various aspects of each one are listed with a line.